Has someone you know been charged with drink driving? If so, they may be familiar with how drink driving cases are dealt with in court. However, they may not be aware that law relating to drink driving are about to change in the very near future. The Road Transport Amendment (Mandatory Alcohol Interlock Program) Bill 2014 is due to come into effect on 1 February 2015. The biggest change to existing laws is the implementation of mandatory interlock licences under the Alcohol Interlock Program. The alcohol interlock program involves fitting an electronic breath testing system to your car, which is also known as an ‘interlock device’. If you hold a full driver’s licence, you will ordinarily be allowed to drive provided that your blood-alcohol concentration is below 0.05. However, an interlock device will detect any alcohol in your breath, and will disable the vehicle’s ignition and record a positive reading. This means that you will not be able to drive until you return a reading of 0.00.
Who will be subject to the new laws? Anyone who is convicted of high range drink driving and/or is a repeat drink driving offender will be subject to the new laws. If you are convicted of an ‘alcohol related major offence’, and were convicted of another within the last 5 years, you will be deemed a repeat offender under the new laws. An ‘alcohol related major offence’ includes all drink driving offences as well as driving under the influence of a drug and failing or refusing to submit to a breath test. However, the requirement to fit an interlock device will not apply to those who have been declared ‘habitual traffic offenders’. Rather, those people will not be eligible for the interlock program, and will not be able to drive, until after the expiry of their habitual offender disqualification period. What do the new laws mean for traffic offenders? If you are convicted of an alcohol related major offence that falls under the new laws, such as high range drink driving or refuse breath test, the court must impose a minimum licence disqualification period and issue a mandatory interlock order. You may also face these new penalties if you are a repeat offender – that is, if you are convicted of a second or subsequent drink driving offence within five years. This means that you will be disqualified from holding any driver licence for a period of time, as ordered by the court. You will also be required to participate in the alcohol interlock program for 12 months following the disqualification period. The alcohol interlock program requires you to obtain a special ‘interlock licence’. 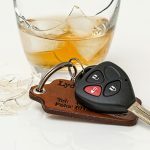 After your court-imposed disqualification period, you will be allowed to drive as long as your car is fitted with an alcohol interlock device. You will be responsible for the cost of purchasing the device and having it installed. In some cases, obtaining an interlock licence means that the disqualification period is reduced so that you can get back on the road sooner. Upon completion of the alcohol interlock program, the RMS may reinstate your licence, grant you with a provisional licence, or require you to undertake a fitness to drive assessment and extend the period of the interlock program. 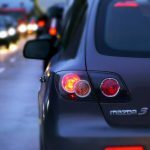 In some cases, the court may grant an order exempting you from participating in the interlock program where you would otherwise be required to do so. Exemptions are granted where you are able to convince the court that an exemption is necessary. To do this, you will generally have to prove that you do not have access to a vehicle in which to install the interlock device; or that you have a medical condition that prevents you from providing a sufficient breath sample. 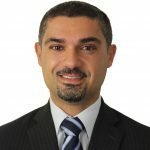 If you want to present evidence about such a medical condition, you must also convince the court that it is not reasonably practicable for the device to be modified to allow you to provide a sample. However, courts will not usually issue an exemption simply because you cannot afford the cost of installing or maintaining an interlock device, or because you will be unable to drive a work vehicle due to the interlock order. Also, exemptions are not to be issued where you share the vehicle with someone else who refuses to consent to the installation of the device. However, if you share the vehicle with someone else who has a medical condition which prevents them from providing a sufficient breath sample, and it isn’t reasonably practicable to modify the device, then you may be exempted from the interlock program. 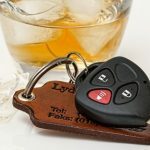 The introduction of mandatory interlock orders has the effect of preventing certain people from drinking at all before driving. 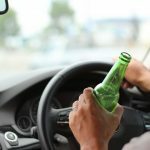 Those in favour of the changes say that the sheer volume of drink drivers before the courts, many of whom genuinely believed they were under the limit, justifies moves towards mandatory installation. Opponents, on the other hand, suggest that the changes will unfairly impact upon those who cannot afford to install and maintain the devices. In any case, remaining sober before driving is always the safest course of action.